ARTS kicks off in Rotterdam! 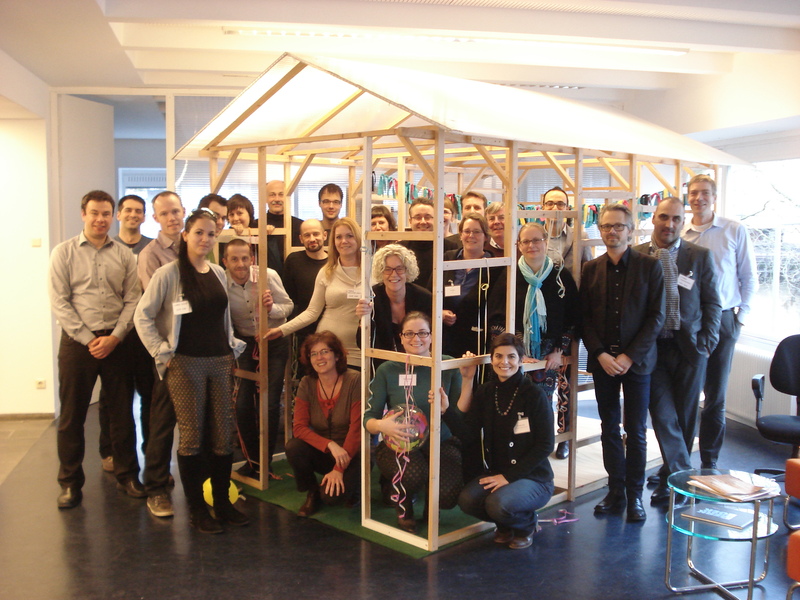 The project ARTS was kicked off in Rotterdam, the Netherlands (22-24 January 2014). ARTS (Accelerating and Rescaling Transitions to Sustainability) is a timely and ambitious new research project that aims to develop new conceptual and policy oriented knowledge about acceleration of transitions in urban areas. The focal unit of research in ARTS is the transition initiatives. Transition initiatives are actor-networks that take up collective action with an explicit aim and hope to radically change current practices around social and environmental sustainability in cities. Transition initiatives are the pulse of sustainability transitions in cities. ARTS studies how a diversity of transition initiatives interact, synergize and evolve over time and across multiple scales in five city-regions: Brighton, Budapest, Flanders, Dresden and Stockholm. These initiatives are selected based on the imprint they have on a number of low-carbon domains that include but are not limited to resource management, biodiversity and ecosystem services, energy, transport and mobility, building and living and food. The final product of the project is an understanding of the conditions, mechanisms and contexts that transition initiatives operate and create in their strive for urban sustainability transitions. The final outputs of the research project will be communicated and formatted in a number of factsheets, transition reads, as well as blogs, video artist competitions and dialogues with policy makers of the transition regions and the European Union. During the kick-off, 21 representatives from 10 partner institutes worked together in defining the next steps to take in developing the shared research agenda that the project includes. A shared understanding of the research mission of the project and new ideas on acceleration and (re)scaling of transition initiatives marked the starting point of a 3-years research ahead. The meeting took place at ZOHO in the inspiring location of the Zomerhofkwartier, a vibrant experiment of organic urban redevelopment in Rotterdam. During the working dinner, the ARTS team enjoyed the organic locally grown food of Uit je eigenstad, the urban agriculture initiative in Rotterdam. During the kick-off, the research missions of six sister projects to ARTS were also presented in order to find early synergy points: TESS, PATHWAYS, EU Innovate, GREEN SURGE, GLAMURS and TRANSIT. The coordinator of GLAMURS project, Prof. Ricardo Garcia-Mira presented GLAMURS and interacted with the ARTS members by sharing ideas and inspiration. DRIFT is leading the scientific coordination (Niki Frantzeskaki) and organizational management (Manuela Corsini and Helmi Hansma) of ARTS. More to follow soon! For questions, please refer to: arts@drift.eur.nl.